I don’t generally like to hide away my iDevices inside cases, but there are some environments where this is at least strongly advisable – and the basket of a hot-air balloon is definitely one of those. In anything but still air, a landing tends to involve the basket being dragged across the ground – and much as you try to secure things, there’s always the risk of loose items taking a fall. Which can get expensive when one of those loose items is an iPad Air. 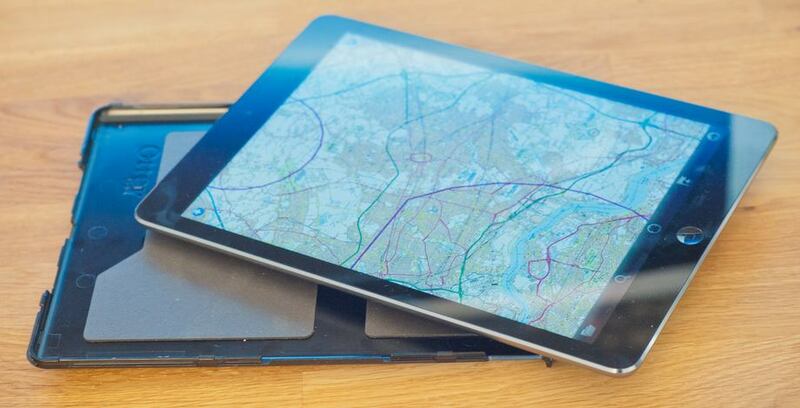 iPads are the perfect navigation device in a hot-air balloon as you need to simultaneously reference three different types of maps. An airspace map, showing the areas you can’t fly into without risking an A380 bearing down on you (followed shortly afterwards by the aviation licensing authority). A land map to show the ground detail you need for navigation and landing purposes. And finally, a map showing Sensitive Areas (SAs) where landowners request that you either don’t land or overfly above a specified altitude (generally 500 or 1000 feet) to avoid disturbing cattle, dogs and so on. The Otterbox Defender case is best described as ‘functional.’ Once your iPad Air is safely locked away inside it, its sleek and slim form will be completely lost to the bulky and clunky-looking case. Pretty it is not. 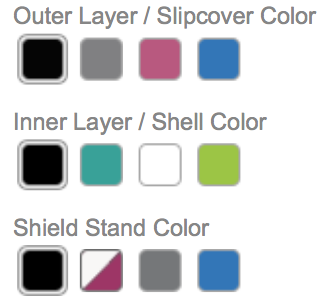 You do have a choice of a small range of colors for each element of the case (see below), and can even mix-and-match them if desired. 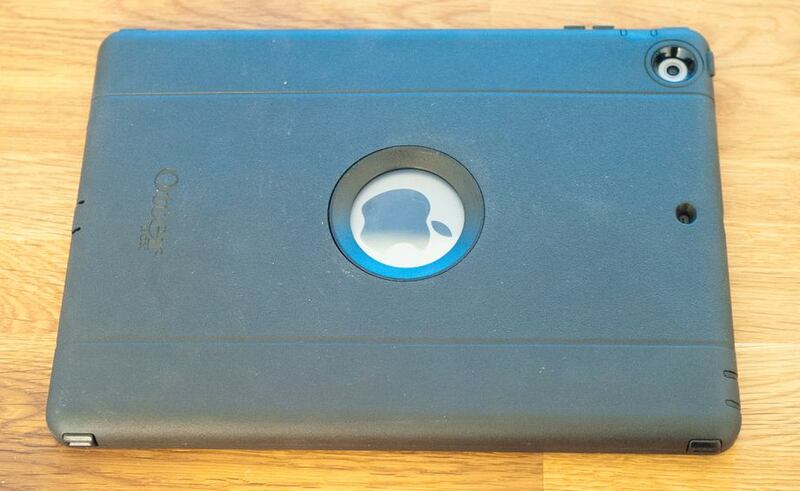 There’s also nothing slick about getting the iPad into and out of the case. It’s a fiddly process that takes two or three minutes the first time you do it, and only gets a little quicker with practice. It’s not something you’re going to do casually. But that’s not the point of the case. No-one is going to use anything this bulky for a bit of just-in-case protection around town: this is something you’ll use when you think there’s a serious chance of your iPad taking a tumble, and where a couple of minutes of effort is well worth the peace of mind of the serious protection it offers. Let’s look at each of the elements of the case. First, you place the iPad inside the back piece. This is just a simple slot in place job. Next, you snap on the rigid plastic screen-protector. Next up is to put on the thick, flexible rubber surround. Getting this roughly in place takes just a few seconds, but it’ll take another 30 seconds or so to get it completely seated with all of the port flaps closed and the gaps closed down. All of the ports, buttons and switches are covered, and there’s even a rubber flap covering the home button. You have to press harder than usual to operate this, but not excessively so, and it’s reassuring to have absolutely everything covered. We tend to associate rubberized casings with water-proofing. Sadly, the Defender isn’t certified waterproof, only dust-proof. However, while I wouldn’t recommend using your iPad in a storm, it does seem to me to offer enough protection that there’s no cause for panic if a few raindrops land on it. Finally, your now rubber-surrounded case snaps into a thick backplate with corner protection. 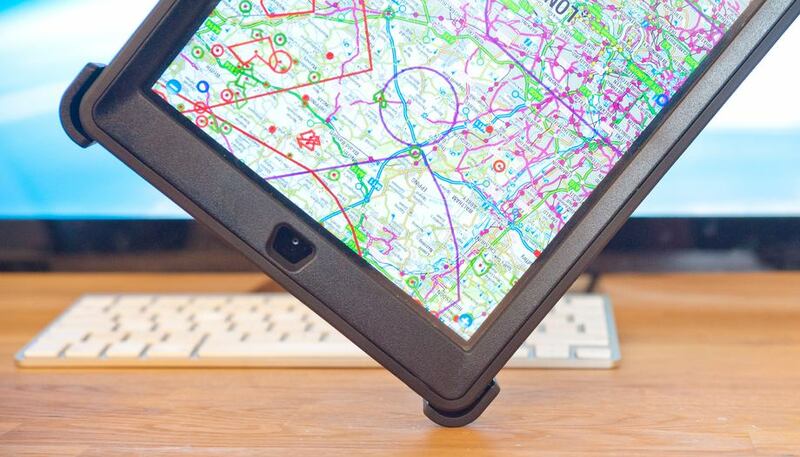 Dropped devices are most likely to land on a corner, and the protection here feels ultra-safe. First, the corner bumpers are large and meaty. 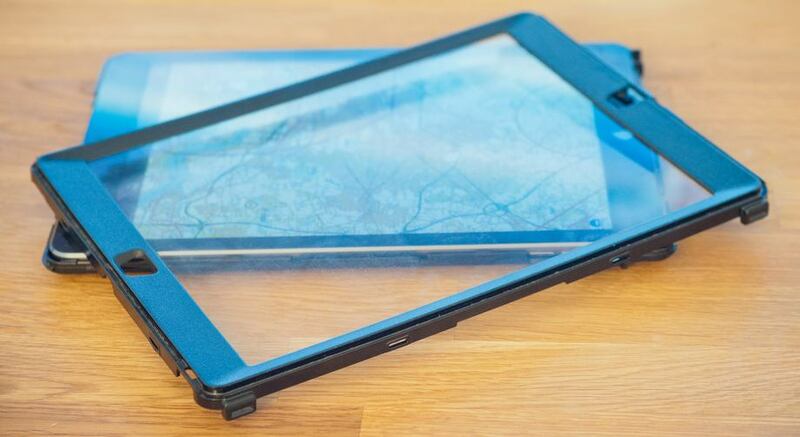 Second, because they are part of the separate backplate, with a gap between the corners and the inner case, there is no direct way for an impact to be transmitted to the iPad. The plastic screen-protector is, of course, capacitive. The screen does feel very slightly less responsive, requiring a very slight pressure to respond, but this is very trivial. With the screen the most vulnerable part of the iPad, this is a very small price to pay for what feels like a decent level of protection. Similarly, the volume buttons, like the home button, require a little more pressure, but it’s no big deal. The rear of the case has a deep cut-out for the camera, providing a good level of protection without degrading image quality by placing a piece of plastic in front of the lens. This is not a casual case for everyday use. It’s a serious, heavy-duty casing for use in situations where your iPad would be exposed to particular risk of being dropped or damaged. For hot-air ballooning, it’s perfect. I could also see it being used in light aircraft, track cars and motorcycles – and when hiking, scrambling or rock-climbing. At $99, it’s not cheap, but doesn’t feel over-priced for the degree of protection it offers. Look around on Amazon, and you can get it for significantly less. At the time of writing, it’s available direct from Otterbox on Amazon for $65.